The quality and enthusiasm of our people is what distinguishes Brenntag from other companies within the marketplace. Brenntag, market leader in the distribution of chemicals, offers you a challenging work, a personal development program and career opportunities, as well vertically as horizontally, in an international working environment. We are a growing and financial stable organization, consistently in search of experienced and motivated individuals to fill in various positions within the company. Whether you are looking for a position in Sales, Marketing, Product Management, Procurement, Operations, Transport, Finance, HR, we provide opportunities that offer long term careers. Interested in working at Brenntag? Please apply for any of the positions listed or alternatively contact us for more information. Please send us your CV, preferably with a short motivation, mentioning the function you are applying for, to one of the following e-mail addresses: vacature@brenntag.nl for vacancies in the Netherlands and vacancies@brenntag.be for vacancies in Belgium. You can always follow or like our company on Linkedin. Wij zijn op zoek naar een enthousiaste Commercial Assistant. In jouw rol ondersteun je het commerciële proces en beheer je een aantal toegewezen productgamma’s en of principalen (leveranciers) van zowel commodities als vanspecialties in de sectoren Feed en/of Pharma. Je werkt nauw samen met de productmanager en bent het eerste aanspreekpunt voor de klanten met betrekking tot de aan jou toegekende productgamma’s. Je werkt servicegericht en een goed relatiebeheer met de klant is van groot belang. Je bent verantwoordelijk voor offertes in het kader van aanbestedingen en volgt gemaakte offertes actief op. Je rapporteert aan de Sales Manager maar vormt ook een hecht team met je binnendienst en buitendienst collega’s. We believe that our motivated colleagues make the difference. We are a dynamic, innovative and financial stable organization, lean organized with direct lines to our board. Have a look at our Operations department within Brenntag Netherlands? Have a look at the interview with Aafke here. Our employees carry out those values! Brenntag is supporting the idea of “lifelong learning”. Of course, you decide the direction of your future. Next to your own input, Brenntag stimulates their employees to develop themselves as much as possible. Ambitious employees with the right competences can grow as well vertical as horizontal, on national or international level within our company. When we see in your CV and motivation letter sufficient fit with our vacancy, we invite you for an interview in one of our locations. We will confirm our invitation by e-mail with the address of the location and name of the Brenntag contact person. If the first contact is positive, we will invite you for a second interview. You will always speak with your future manager. We are using the STAR method and can ask you to give some specific examples, so that we can find out how you will react in certain situations. You will always find the required competences in the vacancy text. Sometimes tests, an assessment or providing references can be part of our procedure. When you are not eligible for the function, we will inform you as soon as possible. The colleagues are already informed about your arrival through our WIKI (intranet) and are looking forward to meeting you in person. On your first day, you will be welcomed by your line-manager or by your buddy who will give you a short introduction to our company and who will introduce you to your new colleagues. You will get a personal introduction program with some on-the-job trainings and e-learning modules. When will I receive an answer to my application? Everyone who applies with us, receives an answer. We strive to reply as soon as possible to your application. Can I apply a second time when not selected for a function? Of course, you can always apply for any vacancy if you meet the requirements of that vacancy. In order to be more successful, we advise you to read carefully the feedback we sent you on your previous application. How many times is our career page updated? The vacancies on our websites are always live and valid. As soon as a vacancy has been taken, it will be deleted on our career page. Yes, of course. You can always apply spontaneously by sending your motivation letter and CV to Brenntag. If we do not have a suitable vacancy, we will keep your application during 6 months in our archives. Your data will be stored for a maximum of 3 months after the application procedure has ended. It is also possible that we want to keep your data longer. We then ask for permission. You can withdraw this permission at any time. We are open for any intern and/or traineeships or collaborations with schools and universities. We can offer trainee positions in several areas such as Sales & Marketing, HR, Finance, Laboratory, Logistics & Production, IT or HSE. Our ideal trainee has good communication skills, is passionate, has a fresh view on the business and can adapt easily. If your traineeship is approved by us, you will have a mentor who will guide you during your traineeship. You are working on your own assignment and are personally responsible for it. This needs perseverance and a proactive attitude. Of course, we will assist on that. 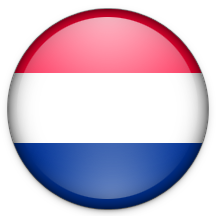 We have several locations in the Benelux were you can do an internship. We are a multinational organisation which allows you to get in contact with several nationalities, languages and cultures. We have two kinds of internships: internship or working & learning internship. If you think you are the perfect trainee for Brenntag, send your CV and trainee application to vacature@brenntag.nl or to vacancies@brenntag.be . We will contact you asap for a first meeting.